Biltmore Swim and Racquet Club Recreation Association is a community of 285 single family homes. We are a family-oriented neighborhood with amenities including a private cabana, private pool, and private tennis courts, for the exclusive use of our homeowners. Every homeowner is automatically a member of the Biltmore Swim & Racquet Club Recreation Association. Every patio homeowner is automatically a member of the Biltmore Patio Association in addition to the Biltmore Swim & Racquet Club Recreation Association. Click to visit the Biltmore Patio Association website. Login here to access members only information. Subscribe here to receive the Biltmore HOA email newsletter regarding important information and events. Once you subscribe, you will receive a password to the members only pages. Time to spruce up outside! We have a responsibility to keep our lawns well maintained and trimmed as well as keeping our alleys clean. Take pride in your home…fix up that exterior and fence in need of paint and repair! Together, let’s keep Biltmore a beautiful neighborhood and one that we all can be proud of! Pay your HOA dues online with a credit card! Out wonderful neighbor, Ed Waldrup, has installed a weather station in his yard here in Biltmore for all of us to enjoy by downloading an app! Check it out here in the Members Only page! Thank-you Ed! 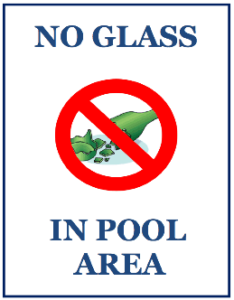 For the safety of our residents please be reminded that glass can be extremely hazardous and not to mention costly to clean up if broken glass ends up in the pool. Glass in the pool area is NOT ALLOWED and your pool rights can be revoked if this occurs. Please note that members are responsible for their children and guests. NO CHILDREN UNDER 15 ALLOWED WITHOUT AN ADULT 18 OR OVER IN POOL OR POOL AREA AT ANY TIME! Trailers of any kind (boat, RV, etc..) may not be stored or parked on residential streets in Biltmore per City of Plano Ordinance. You must have a paved or gravel surface OFF the residential street in the back. 2018 Biltmore Yard of the Month Winners! Vehicles may not be stored in Pool Parking Lot. Towing will be enforced. NO DOGS are allowed in the POOL or pool area! Check out the special committees on our management page. Special thanks to our Directors…David Flores, Dan Pearse, Thomas Schattner for all their tireless efforts and tremendous amount of time that they put in on managing our HOA. They receive NO COMPENSATION for their efforts! The Biltmore Egg Hunt is still scheduled for this Saturday at 4:30pm. Depending on the weather we may have to postpone the event. If we have to postpone I will let everyone know by noon on Saturday. Reminder for anyone in the neighborhood who has a child going to kindergarten at Gulledge in the fall. Kindergarten Round up is coming up on March 22. Contact the school for details. Together, let’s keep Biltmore a beautiful neighborhood and one that we all can be proud of. We have a responsibility to keep our lawns well maintained and trimmed as well as keeping our alleys clean. Take pride in your home…fix up that exterior and fence in need of paint and repair!